In recent months, the country has been in turmoil, as have been Jewish Diaspora leadership and the political system. Following a series of events connected to religion and state clashes, this storm is expected to further escalate. This validates once again how timely the publication of the Index is, in this period of national soul searching, as we engage with the question of Israel's identity as a Jewish and democratic state. The importance of this matter was further heightened in recent months in light of the controversy that accompanied the legislative process leading to the Nation-State Law and the differences of opinion regarding the desirable nature and meaning of Israel's identity as a Jewish state. The findings of the Index clearly and sharply contradict the statements made by Israel's representatives to Jewish Diaspora leadership, according to which it must respect "the will of the Israeli public." This year, too, the findings of the Index clearly and sharply contradict the statements made by Israel's representatives to Jewish Diaspora leadership, according to which it must respect "the will of the Israeli public," which does not accept the positions of pluralistic world Jewry on matters of religion and state and must refrain from advocacy in matters such as the status of the non-Orthodox denominations, the Western Wall, Who is a Jew, the right to family, etc. 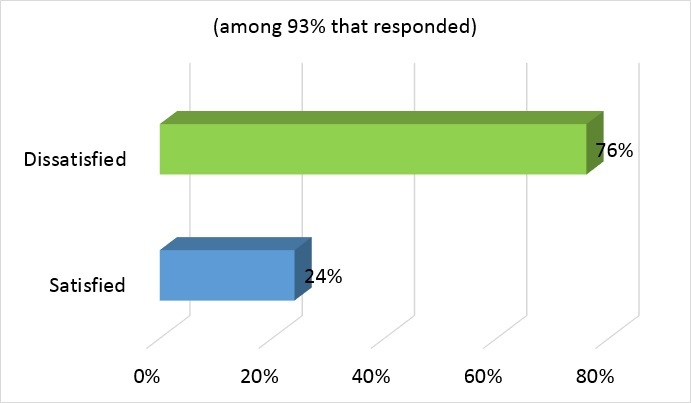 The survey shows that a large majority of the Israeli public welcomes and supports the growing involvement of Diaspora Jewry in promoting freedom of religion and equality in Israel. Most of the public supports granting equal status to all three major streams of Diaspora Jewry, granting freedom of choice in all forms of marriage accepted throughout the world, dissolving the monopoly of the Orthodox Chief Rabbinate, enforcing gender equality in the public sphere, as well as women's representation in the ultra-Orthodox parties and more. The public also rejects the belligerent statements that some Government leaders have been making for some time in their attempt to undermine the Supreme Court and its authority, largely due to the court's independence in matters of religious freedom, as well as the willingness of politicians to engage in verbal acrobatics to justify their perpetual submission to the demands of the ultra-Orthodox parties. The Justice Minister, the Majority Whip, and others repeatedly claim that they and their colleagues most authentically and truly represent the public, rather than the Supreme Court, which is "disconnected from the people." Of course, the spokesmen of the ultra-Orthodox political and rabbinic establishment concur. 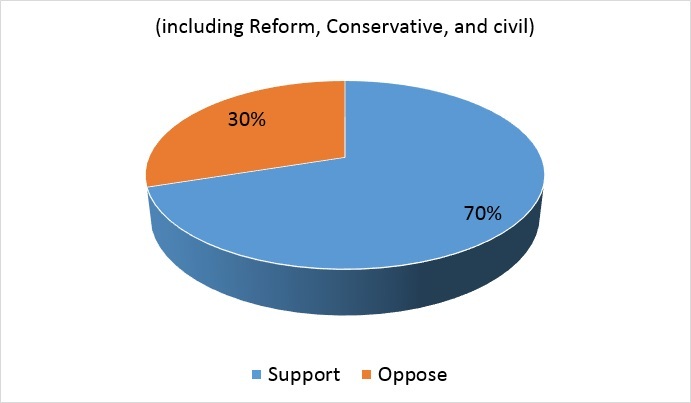 Not only do the findings of the survey indicate that the public's opinion is the exact opposite and that it rejects the government's policies and actions in matters of religion and state, but even voters for the civil Coalition parties, including the Likud (and in many matters also the Jewish Home party) share this criticism and want a dramatic and comprehensive change in the direction of freedom of religion and equality of civic burden. 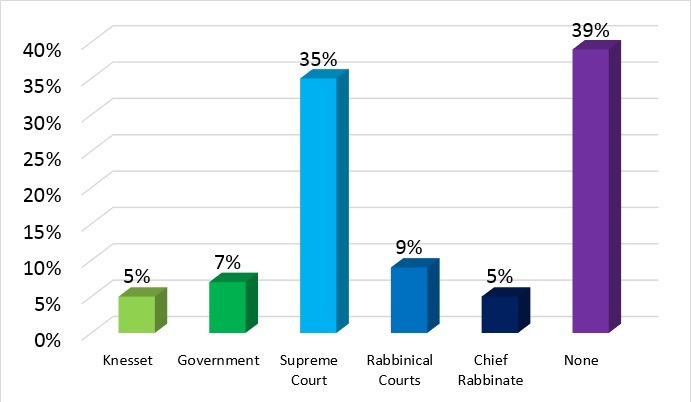 The survey shows that the Supreme Court enjoys the highest level of public trust among the relevant government institutions, and that the Government, the Knesset, and the Chief Rabbinate are at the bottom rungs of the trust ladder. The survey shows that the Supreme Court enjoys the highest level of public trust among the relevant government institutions, and that the Government, the Knesset, and the Chief Rabbinate are at the bottom rungs of the trust ladder. For example, the percentage of those who say that the Supreme Court enjoys their utmost trust is five times greater than the percentage of those who most trust in the Government and seven times greater than the percentage of those who most trust the Chief Rabbinate. Moreover, this survey includes a series of questions aimed at gauging the anticipated impact of various religion and state issues upon the upcoming elections. The findings speak for themselves. A large percentage of the adult Jewish population responded that a party that takes a clear and assertive position on these issues will increase its likelihood of receiving votes over other parties that share a comparable political and economic agenda but do not express their unequivocal commitments to advancing these values. Further, the questions included in the survey also provide a road map to the most important topics in the public's eyes within the broader arena of religion and state relations: a drastic cut in state funding for yeshivas and the religious establishment, civil marriage and divorce, public transportation on Shabbat. This was a stormy year in matters of religion and state, when controversies escalated between secular and religious, but also between the rabbinic establishment and liberal Orthodoxy, between Israel and Diaspora Jewish leadership, and between the non-Orthodox Jewish denominations and the Government. The Knesset, the Government, and the Media were frequently forced to take up the battles over Shabbat, gender equality, the draft of yeshiva students, religionization in the public sphere, the status of the LGBTQ community, Jewish conversion, and more. The Israel Religion & State Index addresses all of these questions and many of these and others were also monitored throughout the course of the year via smaller scale surveys. This Index shows once again that sweeping characterizations are wrong and misleading. This Index shows once again that sweeping characterizations are wrong and misleading. For instance: describing the positions of the traditional Jewish sector in Israel in broad strokes is wrong and misleading, and the Central Bureau of Statistics was correct to divide the traditional public into two groups: 'Traditional - close to religion' and 'Traditional - not so religious.' We honed in on this at length in the 2017 Index, and now too one can see that the latter group joins the secular majority on many issues of religion and state. This insight also follows on the emphasis we placed in the 2016 Index on the observation that the public that defines itself as religious, especially among the Zionist Orthodox, also consists of subgroups and has an emerging liberal, religious segment that is fully observant but takes the position of "live and let live" - they respect the rights of others to live their lives as they see fit and without coercion. This year, we changed the format of the report, and it consists of two parts. The first - an abridged report, mostly graphic, which demonstrates the key findings of the survey; and the second - a full report, which adds deeper and more detailed analysis, highlighting additional aspects of the findings, especially with regard to the breakdown of the public's views, according to different cross-sections (religiosity, votes, gender, country of origin, etc. ), and comparisons to the findings of previous Indices. The 2018 Israel Religion & State Index is rich with findings, insights, and revelations. We are confident that you will find interest in reading it, and we hope that it will contribute to enriching the public discourse in Israel and the Diaspora on matters pertaining to many of the core challenges Israel faces as a Jewish and democratic state. 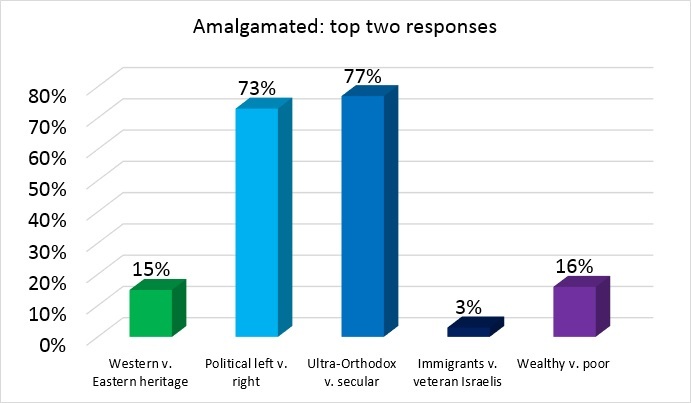 Among the tensions and conflicts within Jewish Israeli society, the public perceives the tension between the ultra-Orthodox and the secular to be the most troubling, even in comparison to the tension between the political right and the political left. It is perceived as four times more acute than both the tension between the rich and the poor and the tension between Sephardic Jews and Ashkenazic Jews! Consistently, a great majority of the adult Jewish public [76%] expresses dissatisfaction with the Government's actions in matters of religion and state. As expected, dissatisfaction is particularly high among the secular Jewish public [91%], but the ultra-Orthodox are also not satisfied [62%]. The Supreme Court enjoys the greatest level of public trust when compared to the Government, the Knesset, the Chief Rabbinate, and the Rabbinical Courts. The percentage of those who selected the Supreme Court as their top most trusted institution, is five times or more greater than the percentage of those who selected the Government, the Knesset, or the Chief Rabbinate! 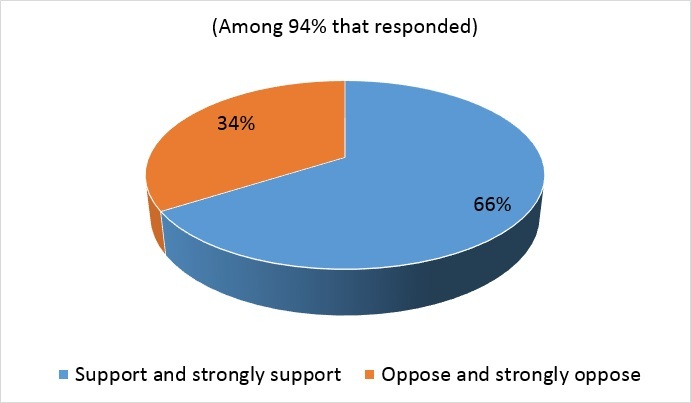 66% of the adult Jewish public opines that Israel should grant equal status to the three major streams of Judaism - Orthodox, Conservative and Reform. This majority has been consistent since 2009 [63%] when Hiddush began to examine public attitudes on the matter. A large majority [70%] of the adult Jewish public supports equal state recognition for all forms of marriage that are common in the world. So that in addition to Orthodox marriages, it would be possible to choose civil marriage and Reform / Conservative religious marriages.